← Taking down USA INC could save America from a petro-dollar collapse! MUCH OF WHAT MEDICAL RESEARCHERS CONCLUDE IN THEIR STUDIES IS MISLEADING, EXAGGERATED OR FLAT-OUT WRONG! So why are doctors—to a striking extent—still drawing upon misinformation in their everyday practice? 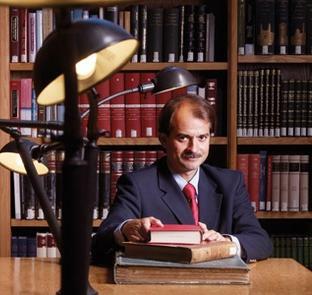 Dr. John Ioannidis has spent his career challenging his peers by exposing their bad science. Indeed, given the breadth of the potential problems raised at the meeting, can any medical-research studies be trusted? “I realized even our gold-standard research had a lot of problems,” he says. Baffled, he started looking for the specific ways in which studies were going wrong. And before long he discovered that the range of errors being committed was astonishing: from what questions researchers posed, to how they set up the studies, to which patients they recruited for the studies, to which measurements they took, to how they analyzed the data, to how they presented their results, to how particular studies came to be published in medical journals. If between a third and a half of the most acclaimed research in medicine was proving untrustworthy, the scope and impact of the problem were undeniable. In fact, the question of whether the problems with medical research should be broadcast to the public is a sticky one in the meta-research community. Already feeling that they’re fighting to keep patients from turning to alternative medical treatments such as homeopathy, or misdiagnosing themselves on the Internet, or simply neglecting medical treatment altogether, many researchers and physicians aren’t eager to provide even more reason to be skeptical of what doctors do—not to mention how public disenchantment with medicine could affect research funding. Ioannidis dismisses these concerns. “If we don’t tell the public about these problems, then we’re no better than nonscientists who falsely claim they can heal,” he says. “If the drugs don’t work and we’re not sure how to treat something, why should we claim differently? Some fear that there may be less funding because we stop claiming we can prove we have miraculous treatments. But if we can’t really provide those miracles, how long will we be able to fool the public anyway? This entry was posted in corruption, Medicine and tagged corruption, Ioannidis, lies, medicine, research. Bookmark the permalink. Follow the money. Who funds the research? “Indeed, given the breadth of the potential problems raised at the meeting, can any medical-research studies be trusted?